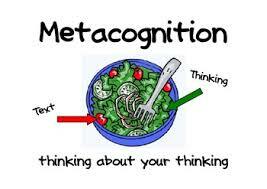 Metacognition research papers discuss the type of cognition defined as "cognition about cognition." Metacognition has numerous aspects. “Cognition” generally refers to thinking or knowledge, while the prefix “meta” means beyond. Therefore, metacognition is often defined as cognition about cognition. Philosophical discussion of metacognition can be traced back as far as Aristotle. Modern usage of the term metacognition can be ascribed to American psychologist John Flavell, who used the term in 1976 to describe the process of knowledge regarding cognition. One is engaging in metacognition when one can reflect upon one’s thinking process, such as in study skills, monitoring one’s learning, or exploring memory capacity. There are three components of metacognition. Metacognitive knowledge is described as what an individual knows of him or herself as a cognitive processor. Metacognitive regulation is the management of learning experiences through activities that allow a person to have control over their learning. Metacognitive experiences are reflections upon one’s current state of cognitive enterprise. Metacognition is vital in self-regulated learning, allowing individuals to perform cognitive tasks in a more effective manner. The idea has also been applied in the recognition of mental illness by those suffering from such conditions. By recognizing symptoms of mental illness, a person is better able to understand and regulate their mental status. Analytical Thinking Research Papers - Understanding texts and lectures; Navigating educational theory; Outlining critical information; Reasoning and problem solving skills. Taxonomy of Learning - A committee of educators chaired by Benjamin Bloom, established Bloom’s Taxonomy in 1956. Paper Masters writes custom research papers on Metacognition and discuss the type of cognition defined as "cognition about cognition."